Peter Huff has invested in firms making mannequins, school uniforms, branded packaging, equipment for saw mills, boat covers and steam sterilizers . . . and then there are TV stations, oil & gas waste disposal operators and a tree transplantation service. The current and exited firms in the Blue Sage Capital portfolio are eclectic, and yet they do have a few characteristics in common: they are in niche industries, family owned, close to Texas and at or near industry leadership. Huff and Jim McBride are managing members and the founders of Blue Sage Capital, a private equity firm they launched in Austin in 2002. Private equity firms raise investment capital primarily from high-net-worth individuals and pool the money into an investment fund. The investment fund is used to buy equity ownership in companies. Those companies then become part of a portfolio of investments. Blue Sage has eight companies in their current portfolio. The private equity firm and its fund investors typically realize a return on their investments when a portfolio company is sold. Becoming a generalist investor comes from 20 years of experience for Huff and his ability to see economic patterns develop over time. Huff has witnessed technology markets wipe out, businesses overleverage, hedge funds collapse and the economy tank in 2009. Through all of that, the Blue Sage portfolio companies continued to pay down debt, make payroll and, in a classic offensive play, buy the assets of competitors that had gone bankrupt. The Blue Sage team thinks broadly, with a long-term approach, and Huff says that makes for a better team. “We come with a lot of different specialties, views and ideas and we like to be able to disagree with one another,” he said. One of the reasons Huff constantly looks for ways to deliver risk-adjusted returns to his limited partners is because he invests his own net worth into the fund. Huff says it’s a good way to keep score by getting paid out when there’s a sale of a portfolio company. Another reason for the generalist approach is in the numbers — the returns to investors that come from putting money in a Blue Sage fund. The State of New Mexico is an investor and their $7 million investment has a realized return of $26 million and an internal rate of return of 21.7 percent at the end of 2016. Huff said they are talking about starting a third fund. For Huff, the best business decisions are made by strong management teams — and the most important word is team. Not only does Blue Sage look for management teams with complementary skills, they also look for complimentary personalities within those teams. All the employees at Blue Sage have had Birkman personality profiles done and their portfolio companies do the same. Management is Huff’s second most important word. Once Blue Sage has reached an agreement to invest in a company, they set up metrics to measure management success. Often, family owned businesses don’t use institutional management methods like dashboards because family members are only responsible to themselves. When evaluating an investment, Blue Sage looks at the 5 to 10 most important metrics they will track — things like working capital or three-month-forward bookings. The dashboard is reviewed weekly either via a call or a face-to-face meeting. For Huff, the third-ranking word in that phrase is strong. “I’d rather have a really good, cohesive team that can manage than I would a bunch of people who look good on paper, but are not as strong as a cohesive, high-functioning team,” he said. For the most part, Huff says those in the C-suite and those in the family want to try something new. Owners are looking to grow the business and with Blue Sage risking their capital, owners see a win-win. “They can partner with us and either grow the business with internally generated cash, or with us putting in more money. They can grow their business on our nickel and then generally enjoy the benefits of that growth when we sell,” said Huff. In the private equity industry, when firms create bigger funds they typically move up market and do bigger deals, rather than more deals. With a $2 billion fund, for example, firms will have the same 10 to 12 portfolio companies as firms with $150 million funds. 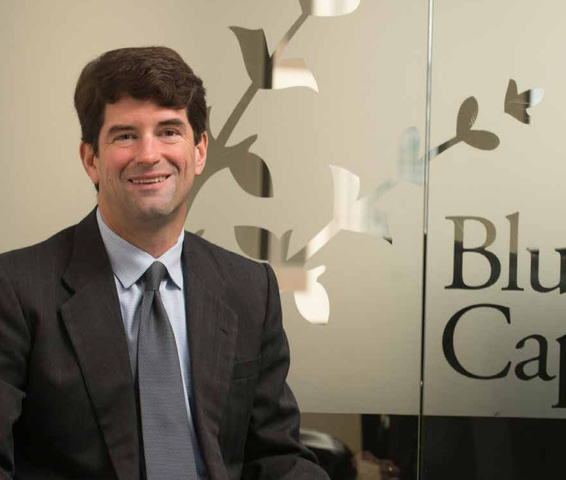 Once the third Blue Sage fund is created, the new portfolio companies will come to realize what the current group knows — Peter Huff loves what he’s doing.